Taylor Swift’s music videos are unmistakable in style. Typically, the narrative revolves around a guy who has either broken her heart, stuck her in the friend zone, or is currently the greatest thing in her life. Throw in a few milkshakes at the local diner, a bit of face-nuzzling, some fights, and a generous helping of close-ups of Swift’s face, and you have a Taylor Swift music video! Although Swift has matured along with her material, these stylistic notes follow her music career through today. Along the way, she’s picked up a bit of a twee hipster vibe and has even made a few videos that aren’t about how lame boys can be. She has learned to throw shade and celebrate her youth as well! Even if Swift appears to be the queen of cliché, she has been around the music scene for so long that she’s established an actual range. From “Our Song” to “Love Story” to “22,” Swift has built up an encyclopedia of music videos in her relatively short time on this earth. It only makes sense that her videos have developed significantly from hanging out painting her toesies on her deck. We’ve ranked all of Taylor Swift’s videos through the years and, actually, they aren’t all the same. So much throwback, but such a diluted concept. Definitely not Taylor's best. 28. "I'm Only Me When I'm With You"
Sure, the home videos are cute, but this one gets a C- for both creativity and effort. We get it already. You have lots of friends. Maybe this music video should just be called "Killing Two Birds with One Stone." This is just lazy. We understand that you're busy being an international superstar and all, but take time to film a video, Taylor! It's basically the same video as "Fearless" and "Sparks Fly," but "Red" earns points for costume changes. This is really the best you could do for the title song from your album, Taylor? This is pre-Swiftian narrative and straight basic. All we get here is a church, a band, some hair-flipping, and dudes in skinny jeans. Early Taylor Swift looks eerily similar to Gretchen Rossi, doesn’t she? It’s terrifying. I don’t like it. We'll get used to seeing Taylor Swift curled up contemplatively on various floors across the course of her music-video career. Sometimes when she curls up on the floor, she strums a guitar! Hey, at least we have a story arc! Relationships are hard. So is brooding alone in your room and in fields. Can’t her legion of biffles get her through this breakup? This will make you want to hug your parents until they asphyxiate on your love. Taylor Swift hangs photographs from a tree in the creepiest craft project ever. 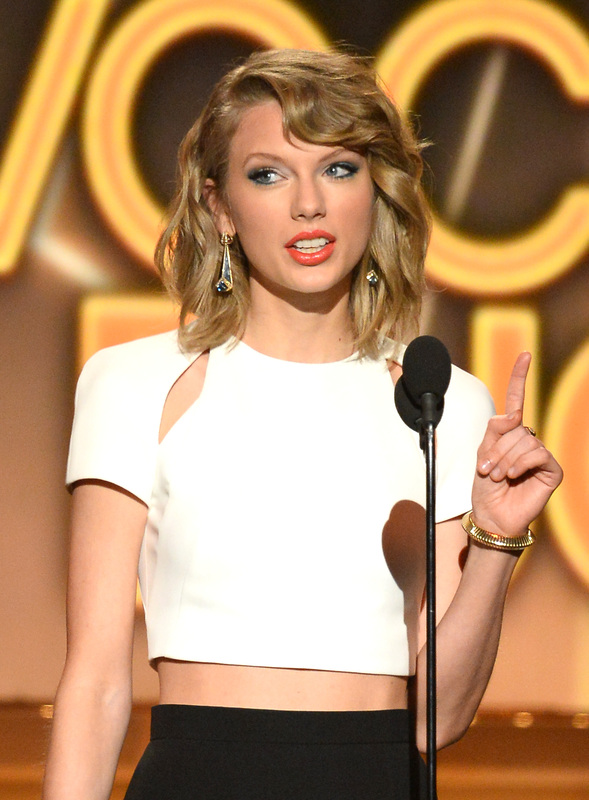 Even when Swiftie dresses up as a normal, she's still making fun of your mouth-breathing. Obviously, this high school is located in some Lovely Bones–style afterlife. 12. "Teardrops on My Guitar"
The only suitable attire for unrequited love is a full-length gown. 11. "The Story of Us"
The couple narrative that Swiftie has established as her signature takes to the hallowed halls of… Hogwarts? Well, at least it's a change in scenery! Taylor's style is maturing, even if her music video premises and subject matter have stayed basically the same. This is her inaugural "Before He Cheats" moment. There's dialogue! There's wind! There are even freakin' pyrotechnics! Good for her for getting out of her comfort zone... Kinda? “Love Story” was arguably her breakout music video, but the fairy-tale romance thing is so one-dimensional. Also, just checking, are we supposed to be in Romeo and Juliet times or colonial times? Maybe we’re just in that timeless historical period where everyone in the world speaks English with a British accent. I’m confused. Daww… Little baby Taylor Swift and Ed Sheeran are so adorable. Or their child-actor doppelgängers are at least. Although, I do have to say, I’m pretty sure I still thought boys had cooties at that age. The last thing I would’ve done was dance with one in a gymnasium. How about that twist at the end though, eh? That's what they call a surprise twist, folks. From a critical standpoint, Beyoncé really did have one of the best videos of all time. But there’s a bit more going on in this video than in some of Swift's others, as in the structure is beyond “It’s so hard to be at home and in public when grieving a breakup!” interspersed with tight shots of Swift’s beautiful, tortured face. Also, can we just agree: a) that brunettes are not all evil and b) that wig is the worst thing ever put on Taylor Swift’s head. As the video that sparked the screaming goat meme, “Trouble” deserves a high place on the list. Sure, the “bad news rocker” is basically just a plot device and is kind of interchangeable with previous dudes in her videos. However, this is a more mature Taylor we’re seeing. She’s starting to recognize the types of men who will abandon her in the desert at Burning Man. This video is a departure from Swift’s typical narrative. Rather than following her romantic foibles, she plays the Greek chorus to little guys the world over. Also, "Mean" has a unique style and character missing from many of her other videos. The honky-tonk thing works like a charm. Here she is. Smug Swiftie at her finest. She’s making the Wes Anderson diorama-style sets work for her. Also, 10 points to Gryffindor for the stoner autoharp-playing bear! This song is catchier than many things in this universe. Everything about this video is infectious, and it’s great to see her escape the brooding ex-boyfriend grief conceit that defines her work. Also, this video gives us an all-important glimpse into her parties with her celebrity besties. Taylor, we'll let you finish, because this is your best video of all time. So there you have it. Do you agree? Disagree? Think "Our Song" should be number one? Too bad. The rankings have been decided and they're final! Now go on and spend a couple hours of your time watching T. Swift videos. You know you want to.